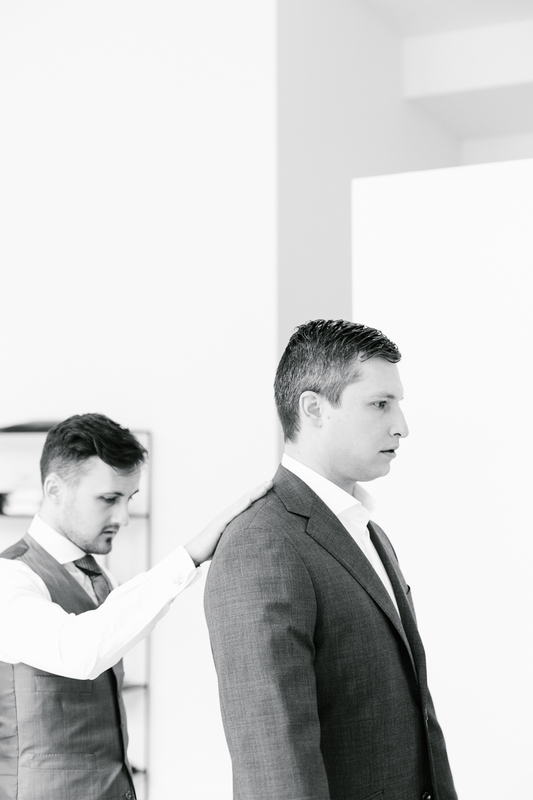 BLVDier is a creative and impassioned custom clothier from owners Zach & Kirsten Uttich. Located in the heart of Chicago's Fulton Market District, the studio is surrounded by some of the country's most renowned restaurants. We juxtapose the industrial aesthetic of the west loop's architecture with clean lines and tall windows. 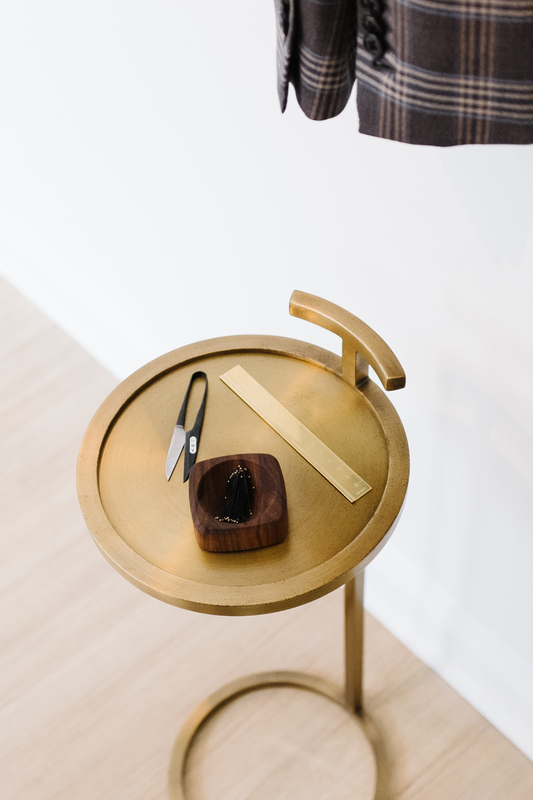 While the clothing draws inspiration from Edwardian silhouettes, Japanese aesthetic, and Neapolitan detailing, it is also influenced by the culture of the district. Each season, we carefully select fabrics from over a dozen of the finest mills. As great water is needed to make great whiskey, great water is also needed to make great textiles; which is why BLVDier's collection is obtained from mills in the Biella region at the foot of the Italian alps. 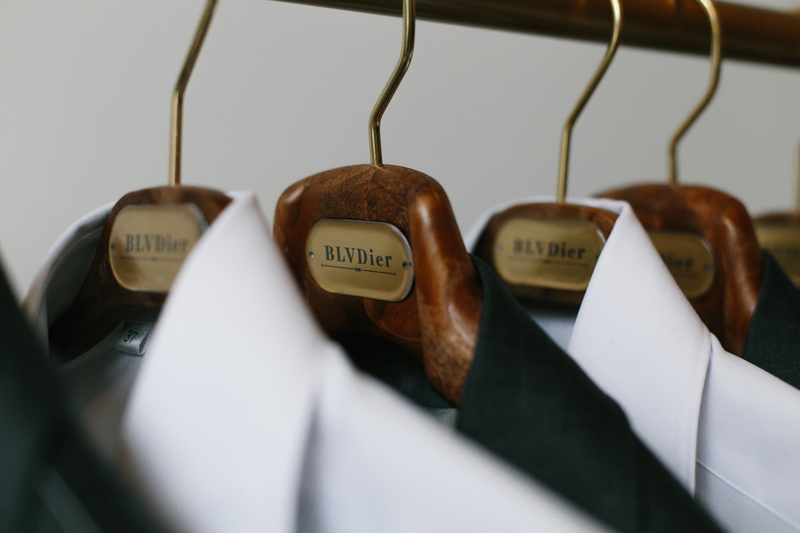 Our business model is built on creating unique garments, which allows BLVDier to provide a personalized product with personalized service. 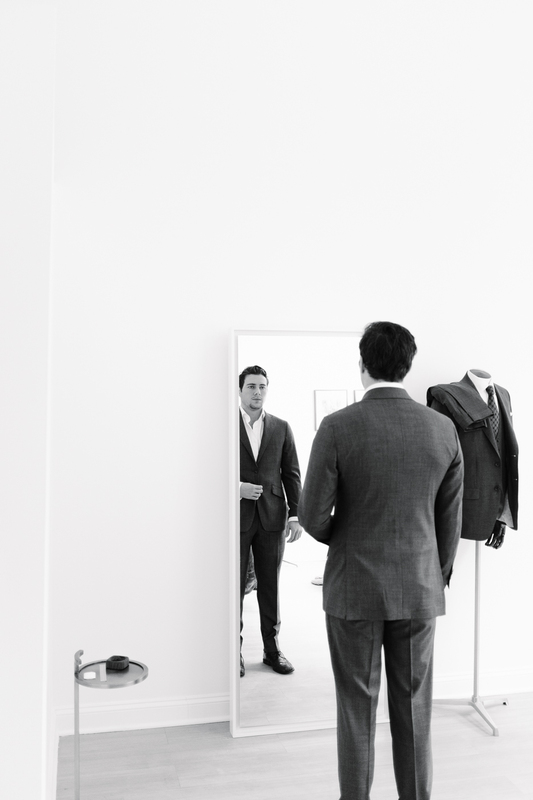 Our suit jackets and sport coats come in either a half or fully canvassed construction. While mass produced jackets are typically fused, we opt for more a durable and mindful product. Half canvassed suits begin at $950 and fully canvassed suits at $1025. Jackets begin at $650 and $725 respectively. Included in your price will be choosing the type of closure and lapel of the jacket, such as a 2 button notched lapel option or a double breasted peaked lapel option. You'll also choose your button, lining and AMF stitch preference. There are various pockets and detail options to customize as well. Additionally, we offer monogramming options and 5 different shoulder pad choices. Sleeves are finished with surgeon's cuffs and the body can be fully lined, half lined or deconstructed. Garage parking is available at special rates booked through the widget here. We are situated 3 blocks east of the Morgan Green Line Station. Street parking is available on Green Street, Fulton Market and Lake Street. Due to construction in the neighborhood, please plan to arrive ~10-15 minutes in advance if you're seeking street parking. Situated in the west loop, the studio is adjacent to The Hoxton, The Publican, Ballast Point Brewery, Limitless Coffee, Ramen San and Momotaro. We're 1 block north of Little Goat, 1.5 blocks from Soho House Chicago and 3 blocks from The Ace Hotel. Within a 5 block radius is The Aviary & Next Restaurant, Roister, La Sirena Clandestina, Au Cheval, Girl and the Goat, Green Street Smoked Meats, Cemitas Puebla, Oriole, Moneygun, PQM, El Che Bar, Lena Brava, Smyth & The Loyalist, Elske, aba, and Monteverde.